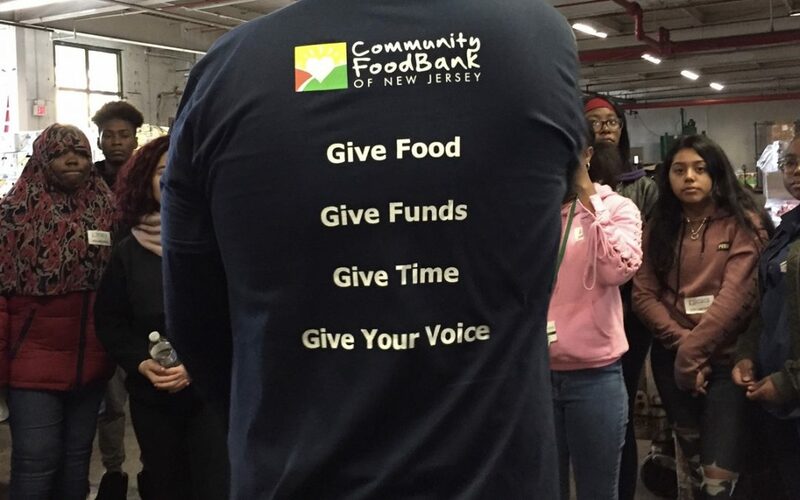 On Saturday November 3, 2018, nearly 100 S/PA students, mentors, and family members gathered at the Community FoodBank of New Jersey in Hillside to kick off the giving season. With the upbeat music playing and happy conversations flowing, our S/PA family packaged 112 boxes to be donated. There were two, high-energy groups unloading and sorting donations, packing up boxes, and others breaking down boxes to be recycled. Our group volunteered for two hours, and the time flew by. There was also an amazing connection – one new mentor found his Fourth grade teacher volunteering as a mentor! This annual event is a great way for mentors and partners to spend time with their students and their families and meet other mentors and partners from other schools. We consider the event to be one of the most important events of the year as it requires students and mentors to work side by side as a team, and it emphasizes the importance of volunteerism and giving back to your community.